Russian violinist Alexander Lapich began his violin studies at the age of five with violinist Nelly Leonova in Russia and later in Bolivia at the “Man Césped” Academy under the tutelage of Ricardo Rodriguez. In 2001, Alexander continued his musical training at the “Instituto Eduardo Laredo,” a core artistic training school in the city of Cochabamba, where he studied with violinist Armando Vera. After graduating from high school in 2008, Alexander returned to Rostov, Russia to continue his musical studies at the Rostov College of Arts with Professor Ludmila Ryabinkova and at the Rachmaninov Conservatory under the guidance of Professors Dmitry Sheinkman and Vladimir Denezhkin until graduating in 2015. Alexander has been invited to play as a soloist in various orchestras such as the National Symphony Orchestra of Bolivia, the Philharmonic Orchestra of Russia and Krasnodar Philarmonic Orchestra. 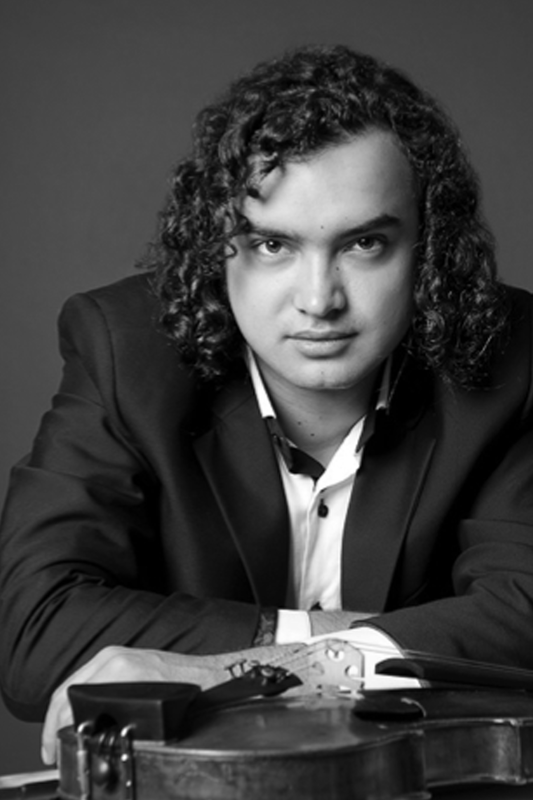 He is the winner of several musical competitions including the Chamber Music Competition of the Southern Russian District in 2010, the 2012 Competition for Young Talents in Russia and the winner of the “Encuentro de Músicos Bolivianos” in 2014. He has performed concerts throughout Bolivia, Chile and Russia. Alexander participated in master classes with notable teachers such as: Carlos Laredo, Arkadi Gologovsky, Rafael Gintoli, Jack Glatzer, Natalya Morozova, Irina Bochkova, Eduard Grach, Sergey Girshenko, Aleksey Koshvenets Mikhail Gantvarg Mikhail Gotsdiner, Maxim Fedotov, Graf and Boris Kuschnir Mourja. In 2015, Alexander returns to Bolivia and joins the the faculty of the Bolivia Clásica Musical Training Program.